sailboat. : A few things I really like at the moment! 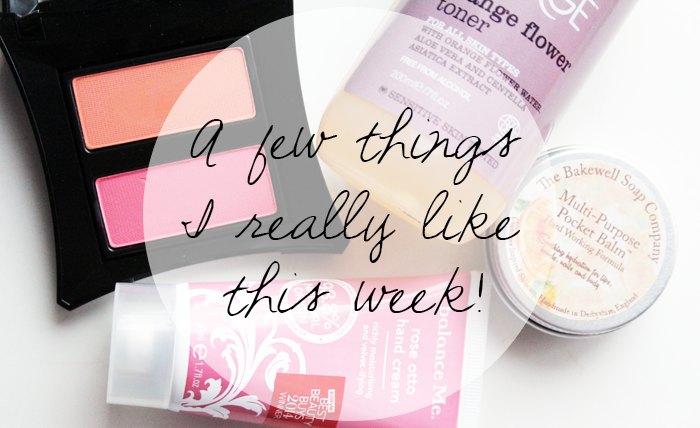 This week a few products have really impressed me and rather than waiting until the end of the month for a favourites post, I thought I'd share them now in case they sound like something that you'd also like to try! It's nice talking about products that really work and after clearing out some of the things I wasn't using last week, I've been enjoying using the things I have left! This was a really sweet Valentine's Day gift from Balance Me and it's a really beautiful hand cream. In fact, I actually think it rivals my all time favourite L'Occitane hand cream and that's really saying something! The rose scent is really delicate and beautiful, it's not one of those 'old' rose scents, it's very classic, natural and lovely. 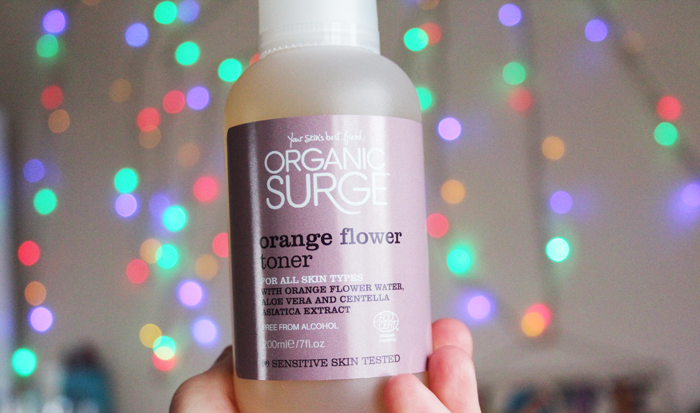 I've been using the Odylique Balancing Citrus Super Tonic* for the past couple of months and I adore that, so I've been intrigued to see how this toner from Organic Surge would compare. I have a feeling I'm going to like them both equally. This lends itself perfectly as a post-cleanse toner at night time and the other is beautiful to spritz over my face in the mornings. Orange flower water is supposed to have wonderful healing and regenerating properties & I don't want to speak too soon because I've only been using this for a week or so, but I think it's really helping to calm my skin down. I hope it keeps working! This came in last month's Love Me Beauty Box and I've been using it consistently ever since. I don't live too far from Bakewell, so it's really lovely to use a local product. I've been keeping this on my bedside table and I use it every evening as an intensive lip balm. It's beautiful. Since finally ditching my pink ombre hair I've been embracing the ability to wear peach blushes again and I'm loving it. This is the perfect peach shade that just adds a touch of warmth to my complexion that I'm definitely appreciating now that it's finally nearing the end of winter. Are there any products that you've been particularly enjoying this week? I loved the look of that pocket balm when you first blogged about it, intensive sounds good to me right now! Love this post its beautiful! and I need that blush in my life :D two perfect shades! 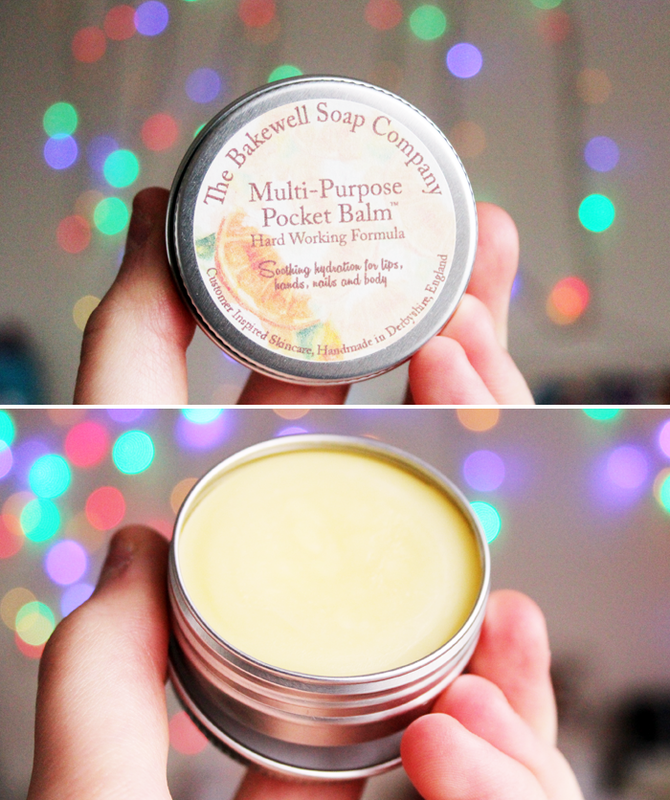 The Bakewell soap balm sounds wonderful! The Balance Me rose hand cream sounds really lovely, my favourite rose hand cream is the one from Jurlique - that one smells divinely like Turkish Delight :) Lover is such a pretty Illamasqua blush! 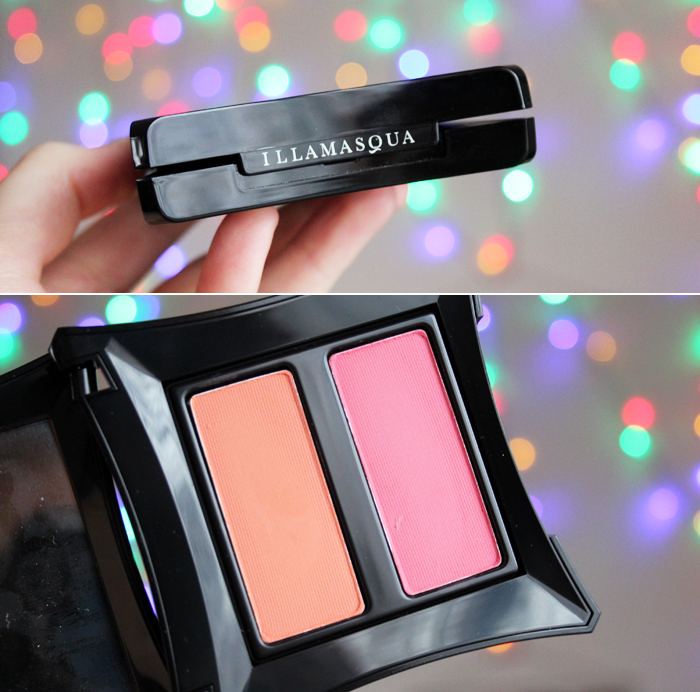 Those Illamasqua blushes look beautiful! 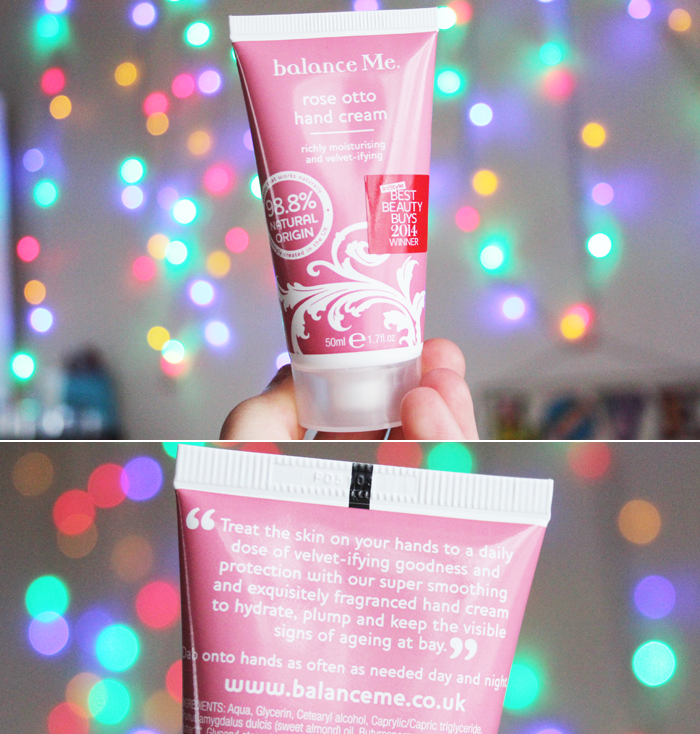 I love the sound of the Balance Me hand cream, too - my hands are so dry at the moment! That toner sounds great! The Illamasqua blushes look so beautiful! I love how you edited your first picture. Maybe you could do a post on photography and editing? I'd love to read that! And that illamasqua duo is to die for! Those Illamasqua blushes are so pretty, I am especially into peach shades right now and the one in the duo looks perfect! I really need to get into the habit of using my hand lotions! It just seems like I throw them somewhere and forget about them. I've set my eye on a peach blush, I've always used only pinks and I want to break the chains sort of, so thank you for posting this! Oh that blush duo is still gorgeous! I would love to try the balm once! These products look perfect to take you into Spring, love the choices, most of all the Rose Otto Hand cream, I love rose scents! That balm seems lovely, and would be a welcome change to my pot of Vaseline..! I like the sound of the multi-purpose balm! I'm still suffering with odd patches of dry skin from winter, so something to carry around with me when I need soothing would be fab.